Hazmat 1st Response is designed to ensure effective communication happens between the 'experts' (those providing the technical information on the substance) and those dealing with the incident, the emergency services. In the event of a chemical incident, the emergency services, most often the fire and rescue service, will be looking for information about the substance(s) involved. Specifically, they would most like to speak to the manufacturers or suppliers of the substance as they are likely to know the most about it. The main problem often encountered is that of communication. The ‘experts’ providing the technical information are frequently scientists or technical staff and they don’t ‘speak the same language’ as the firefighters and other groups dealing with the situation. In addition, they probably have no experience of an incident and so cannot put themselves in the position of the services at the scene. Hazmat 1st Response is designed to ensure effective communication happens. The presentation is complemented by a series of desktop exercises that get delegates working together to solve response problems. Who is this course for? 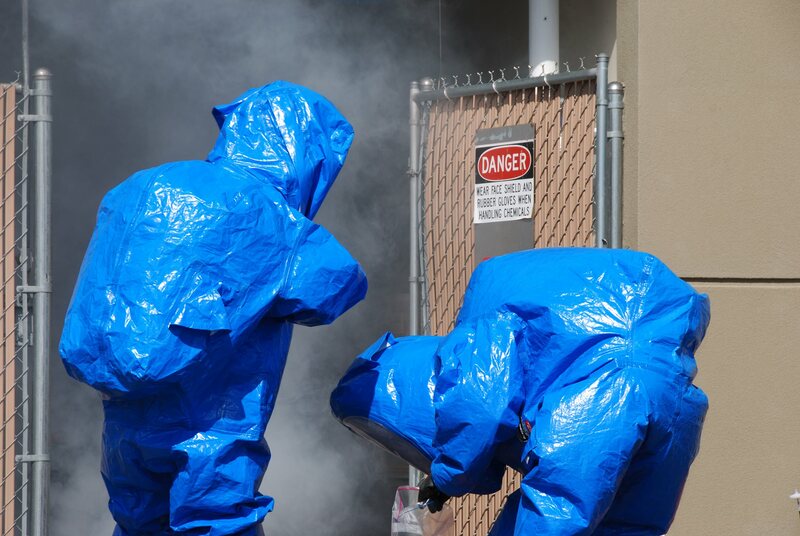 The Hazmat 1st Response course is for anyone involved in providing a response during a chemical incident, either directly or indirectly, who may also need to interact with emergency services. Previous delegates have included dangerous goods safety advisers, safety, health and environment managers; emergency service personnel; waste clean-up contractors; and transport company operators.